Recently we have established a stock of motorcycles at our bonded warehouse in Denmark. 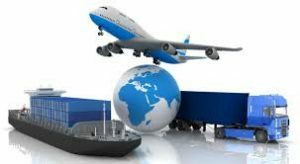 With this stock location we are able to deliver with a much shorter transit time (3-4 weeks) than from Japan (4-10 weeks) LCL or FCL shipments as well as FOB transportation to your shipping point. Furthermore we can offer shipment by airfreight from this stock point offering a 1 week transit time only. All our motorcycles are shipped in SKD (Semi Knock Down) condition in order to minimize the volume and save freight cost. Assembly of the motorcycles can easily be done by the rider or at a local workshop without loosing the warranty. Fit the front wheel, the steering bar, a few extra items and charge the battery – then you are ready to go. Optionally we offer motorcycles to be assembled prior to shipment. Spare parts and equipment can be consolidated and motorcycles can be pre-fitted with extras prior to shipment.